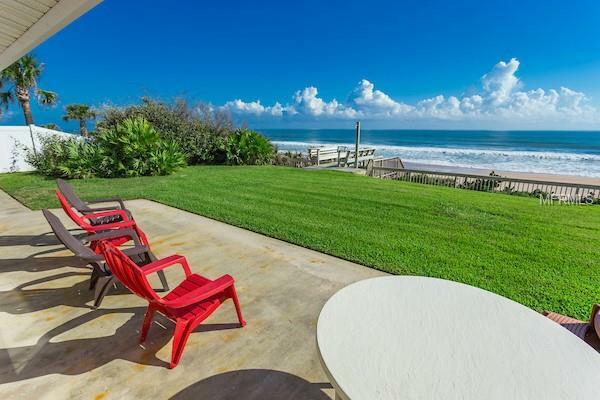 Idyllic beach house on a prime oceanfront parcel sitting among a virtually private stretch of beach here along the most desirable stretch of Atlantic Shoreline. 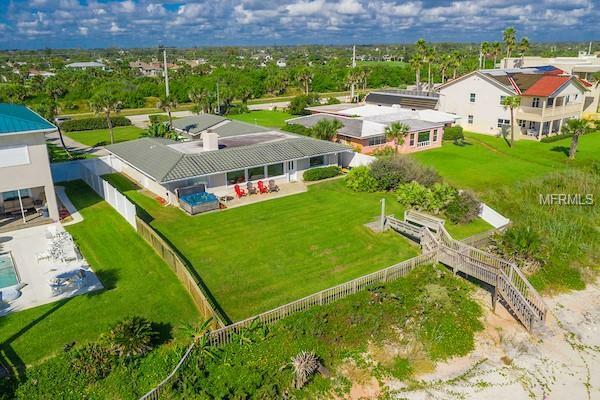 The charming home is situated on an unusually deep lot with a rare combination of high dune line position coupled with sprawling front and rear lawns. While the choice lot would be ideal for new construction, the solid concrete block home with a beautiful tile roof is simply charming and would be an ideal full time residence or continue as the perfect beach getaway as it is in immaculate condition. Original kitchen and baths would be an easy cosmetic update or enjoy as-is in turn-key condition. Beyond the three bedrooms and two full baths are two living spaces separated by a large glass wall that defines the two rooms while allowing for clear panoramic views of the ocean. The oceanfront kitchen opens over a breakfast bar to the dining space with views up and down the beach. A generous utility room serves as an extension of the casual kitchen workspace and features a full beach bath that also services the back bedroom. The oceanfront master provides wonderful views through the hurricane grade windows. Side entry two car garage enhances curb appeal with a beautiful circle drive around the lush lawn. 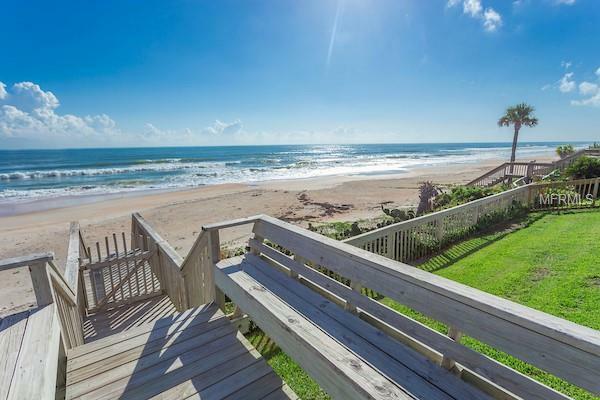 Enjoy the oceanfront patio in the morning and the sunset lanai and courtyard in the evenings. This property is located just across from the 14th Fairway of historic and private Oceanside Country Club.